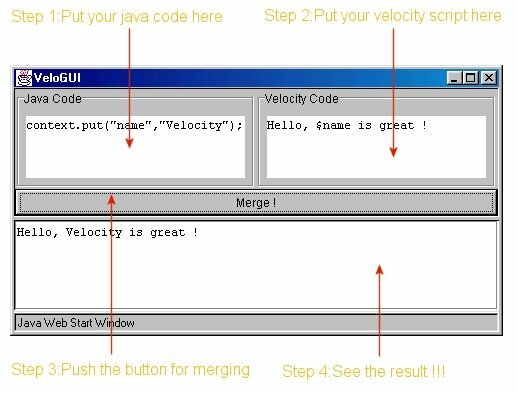 VeloGUI is a little Swing application where you can test velocity script in real time whithout compiling code. Try it now with Java Web Start ! I use Beanshell for interpreting dynamically java and construct a velocity context. Then I merge the context with the velocity code and put the result in the bottom window.